Running is great for your body and good for your heart, but it can put your feet at risk. Many painful foot conditions can be caused by running, and sporting injuries amongst runners are common, but wearing the right shoes for your feet can help to prevent problems and ensure your feet don’t suffer as you run. Here at Foot Solutions, we understand how your gait changes when you run, and we know how to find the best training shoes for your feet. We can carry out a gait analysis and have professional fitters to make sure you choose the best style and size for your feet. Follow our quick guide to finding the best running shoes for you, and choose happiness for your feet! 1. Get fitted properly. Don’t be tempted to buy without an expert opinion, as it may be your feet that end up suffering. Have your training shoes fitted by a professional fitter and take his or her advice seriously. Your feet may fit different sized training shoes depending on the style, so ensure that an experienced fitter checks that they are right for you before you buy. 2. Choose fit over style. You may be drawn to the latest high fashion styles, but these are often not supportive enough to compensate for the pressure placed on your feet when you run. Always choose the pair of training shoes that offers you the best, most supportive fit, and your feet will thank you! 3. Look for cushioning. When running, your feet come under a great deal of stress and this can cause many injuries to the bones and ligaments. 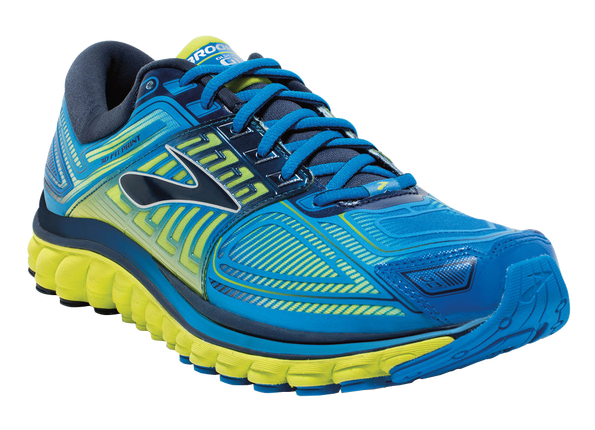 Cushioned training shoes should provide support in all the right places and allow you to run in comfort for longer. Different shaped feet may require cushioning in different places, so ensure you try several pairs to feel the difference. 4. Don’t buy online. Buying online may seem more convenient, but it’s useless when you’re looking for training shoes. You need to feel the shoes on your feet and ensure they are suitable for your gait, and you can only be sure of this by visiting a specialised shoe store. Don’t forget to take running socks with you, and take these into account when making your choice. 5. Shop for shoes late in the day. Feet expand throughout the day, so it’s not a good idea to shop for shoes in the morning. Leave your shoe shopping until late in the day and you’ll know that your shoes won’t pinch or constrict your feet when they are at their largest. Wearing the right training shoes can protect your feet from pain and discomfort while you are running. Finding shoes that fit you well and suit the shape of your feet can help to relieve existing foot conditions and may prevent further problems from developing. Pop into Foot Solutions today and try our training shoes, or find the perfect footwear for work or casual wear. Our friendly and helpful team will be pleased to help you to find the best shoes for your feet.